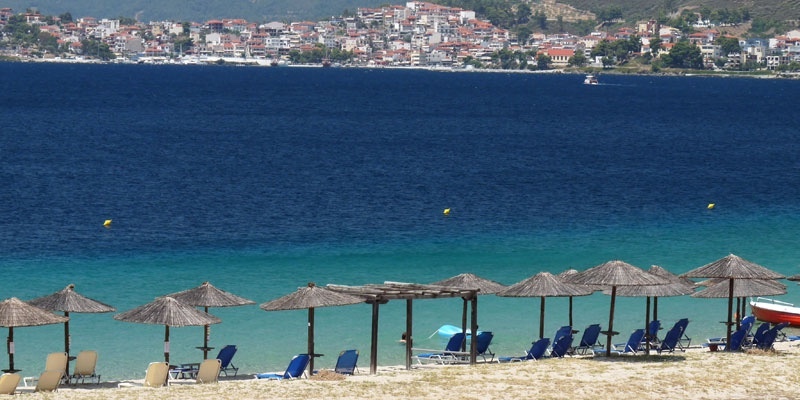 Kohi beach is the second ‘Blue Flag’ beach on the Porto Carras resort’s property. 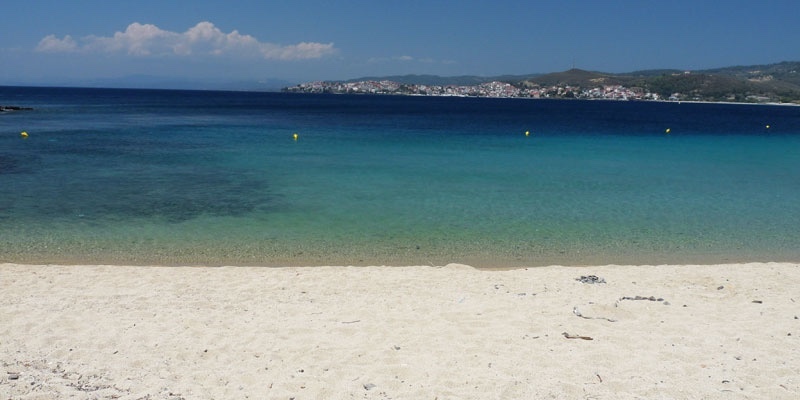 This is the smaller of the two beaches and is located south of the marina and has a direct view to Neos Marmaras across the bay. From here you can enjoy some vivid sunsets. 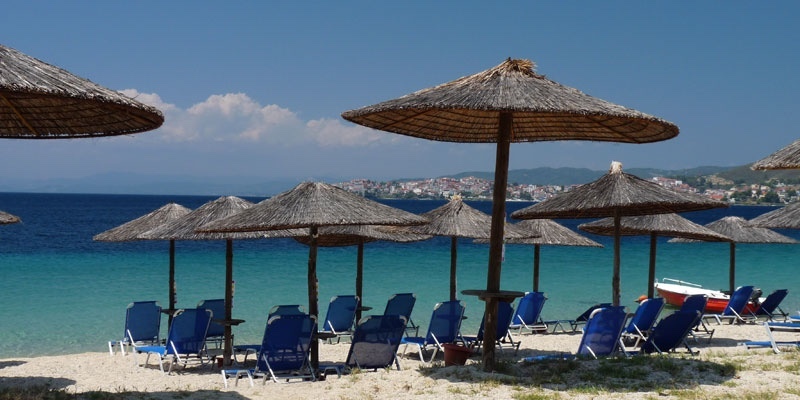 The beach is well organized with a popular beach bar from where you can order a cocktail and relax on the sun-beds and umbrellas which are arranged for the guests. Just off this beach is also a diving center where you can learn how to dive and get licensed. Kohi beach consists of fine sand and has plenty of free space to play on. The water has an amazing greenish tint that invites you to have a swim or take your snorkel and mask for a sea adventure. The sea-bottom is sandy and gradually deepens and is a suitable for children. Perfect sand and equally perfect clear water! Well organized by the beach bar. Good place for snorkeling. 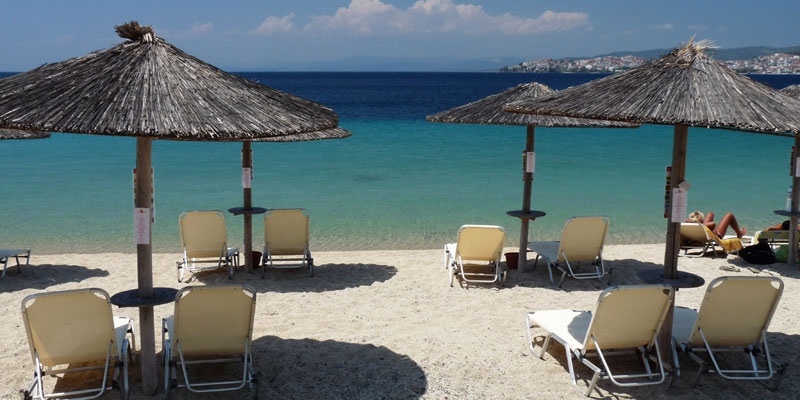 Paid access – pay to enter Porto Carras area, pay for sunbeds etc. South of Neos Marmaras a couple of kilometers you will arrive at the Porto Carras resort. Access is paid if you are not a guest at the hotel. From inside the resort go to the south side of the marina and follow the path to the beach. A place that your family will want to stay until the sun goes down.